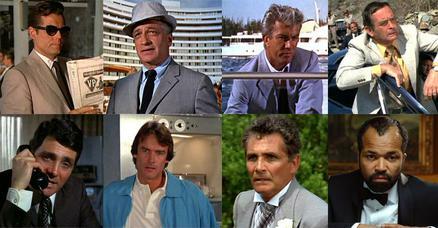 Actors that have officially portrayed James Bond's ally Felix Leiter in the James Bond series of films. qualifies as fair use under the Copyright law of the United States. Any other uses of this image, on Wikipedia or elsewhere, may be copyright infringement. See Wikipedia:Non-free content for more information. This is only for images which are screenshots from films. Please add a detailed fair use rationale for each use, as well as the source of the work and copyright information. For example fair use rationales, see here. Template:Non-free use rationale may be helpful for stating the rationale. To patrollers and administrators: If this image has an 'appropriate' rationale please append |image has rationale=yes as a parameter to the license template. The picture is compiled using screenshots from the James Bond DVDs. The individual images are copyright © to United Artists and Danjaq LLC; The image of Jeffrey Wright is a promotional image released by Sony Pictures (2006). The images in question are low-resolution screenshots from the James Bond DVDs; The image of Jeffrey Wright is a promotional image released by Sony Pictures (2006). The use of the images in these articles will have no effect on United Artists or Danjaq LLC's commercial use of the images in question.